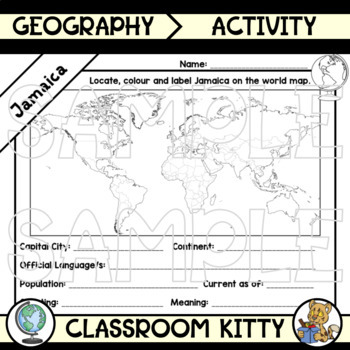 This worksheet asks students to locate information about Jamaica. It could be used to teach geography, research skills, or SOSE. BUNDLE ALERT: This resource is part of a larger bundle. Click Country Fact File Worksheets to view.